Filling the balloon with cool air. What an experience!! I recommended it for you to add to your bucket list and do it as soon as possible! 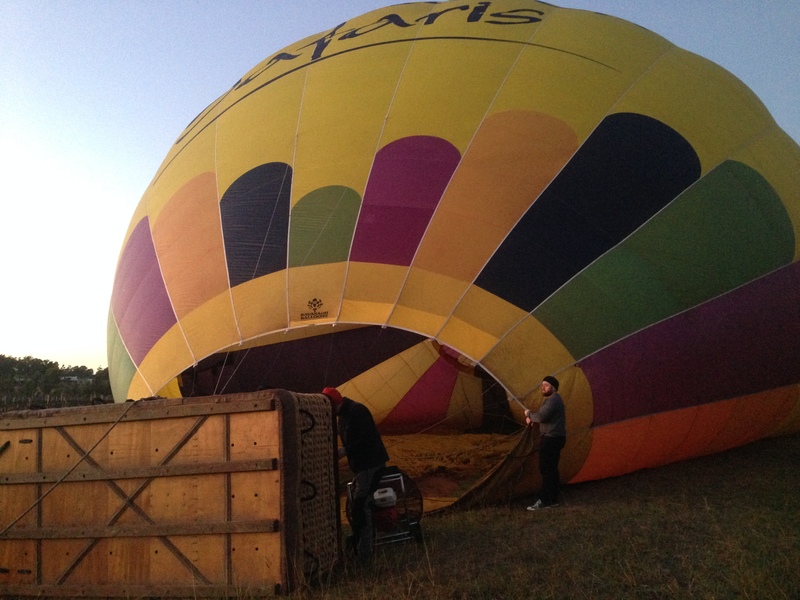 An early morning start, with prayers for suitable weather to hit the skies in a Hot Air Balloon. As I reach the gates to Peterson’s Champagne house, in the darkness of the early hours of the morning, I am informed, that yes, ballooning will go ahead today. As the 10 people who will be going up in the balloon pile onto the mini bus, we are taken to a vineyard with a plot of vacant land. Assembling the balloon for our adventure begins. 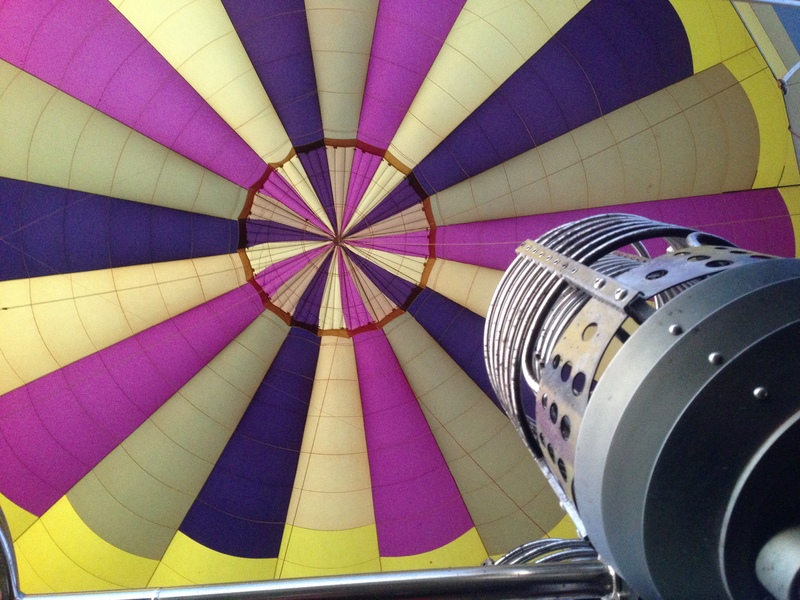 Once we unpacked the balloon and basket, two industrial fans were initially used to fill the balloon with cold air, followed by some blasts of LPG, to set the balloon aloft. In no time at all we were up, up and away. 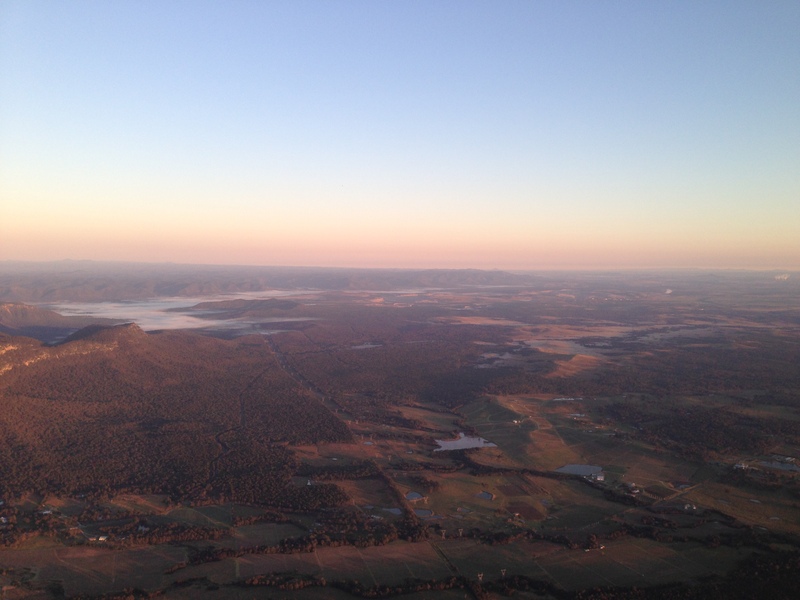 Travelling at approximately 40km and hour, it is a truly glorious way to see the world, to glide above the trees watching the Kangaroo’s bounce, the cows graze, the fog lift and the sun rise. 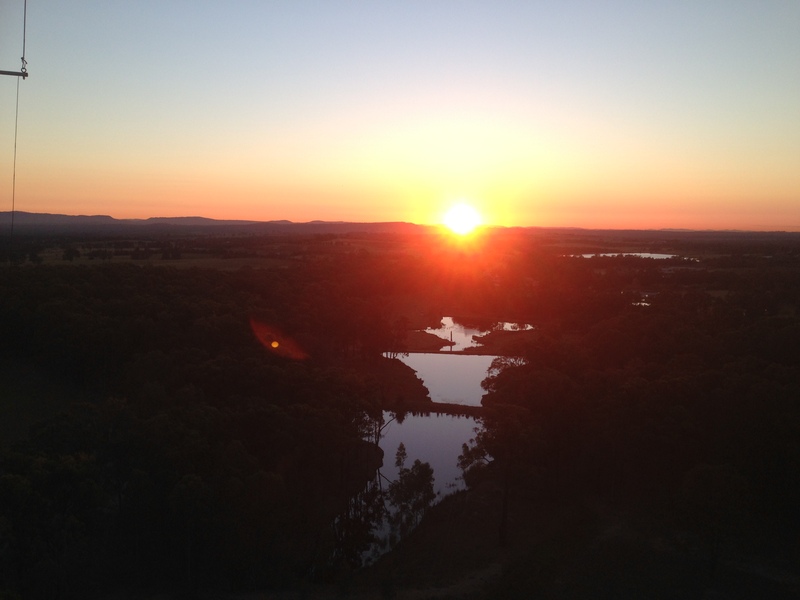 Hot air ballooning is not an extreme or adrenaline based activity, rather one of peace, beauty and adoration for our stunning environment.